Beneath the boughs of towering trees, among meandering streams and mossy hollows, a civilization of forest critters thrives in the Everdell valley. Put your rabbits and hedgehogs to work as you construct new buildings, meet lively characters, and plan for the seasons ahead. Use worker placement and tableau building to increase the governance and prosperity of your corner of Everdell, gathering berries and recruiting the right squirrels to drive your city's success. 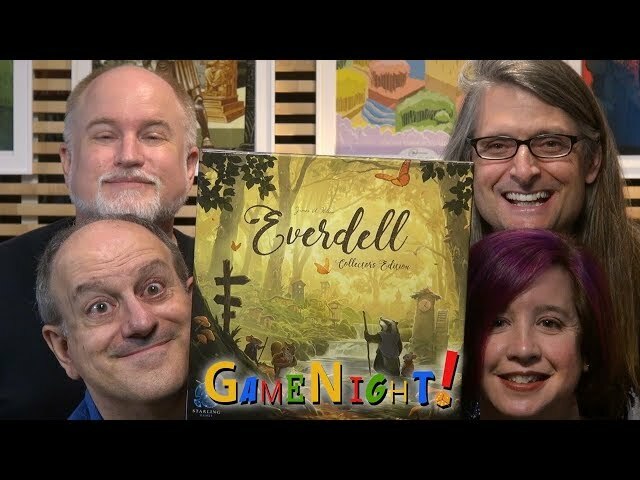 Buy Everdell for a easy-to-pick-up board game of stunning visual design and gorgeous components.